Apparently, its hard to make this as it takes quite a bit of effort. 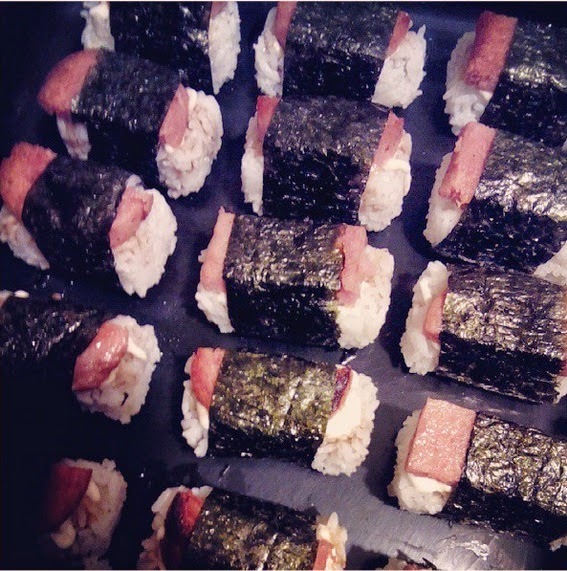 You gotta cook the rice, place it on a container to get the right form, cook the spam, cut the seaweed, then place mayo and soy sauce, place the cooked spam, then roll it all. I did enjoy eating it though.